Many people mistakenly believe that sleep apnea is a severe form of snoring. This misconception can lead sufferers of sleep apnea to use anti-snoring devices, such as mouthpieces to alleviate their sleep apnea. Those products are not designed to treat sleep apnea. While snoring and sleep apnea are separate conditions that need to be treated differently, severe snoring can be a symptom of sleep apnea, but it does not explain the other signs and symptoms of sleep apnea. Nasal strips may be a temporary solution to alleviate snoring, but should be used in conjunction with other treatments, such as CPAP, to better treat sleep apnea. Sleep apnea is a severe sleeping disorder in which sleepers have unusual pauses in their breathing during the night. This can be due to a variety of factors; the airway can become obstructed due to an anatomical blockage, or the sleeper may lack the respiratory strength to maintain a positive airflow. The length of time of the pauses varies according to the severity of the disorder and the nature of the obstruction, but it can last if 10 seconds. People with sleep apnea will also cough, choke, or gasp during sleep due to a lack of oxygen. Obstructive sleep apnea: The muscles of the throat relax, and obstruct the airway. This is the type most commonly confused with snoring. Central sleep apnea: where the brain cannot send the appropriate signals to the respiratory muscles. Complex sleep apnea syndrome: This type combines the symptoms of obstructive and central sleep apnea. Treatments for sleep apnea focus on methods to keep the airway open and maintain positive airflow during sleep. Most medical professionals treat sleep apnea with a CPAP machine, which keeps your throat open while you sleep by increasing the air pressure in your airway. Other treatments for sleep apnea include dental devices that reposition the tongue and jaw, surgery that removes excess throat tissue, and electrical stimulation of the hypoglossal nerve. Snoring, as opposed to sleep apnea, is noise caused by vibrations in the airways due to obstruction. These obstructions can be anatomical, such as enlarged uvula or tongue; due to narrowed nasal passages caused by seasonal allergies or illness; caused by various lifestyle activities, such as smoking, excessive alcohol consumption, or medications. Though not directly life-threatening, snoring can have many adverse effects like those encountered by sleep apnea sufferers. Snoring contributes to poor sleep quality which can affect the sleeper’s health and social life. 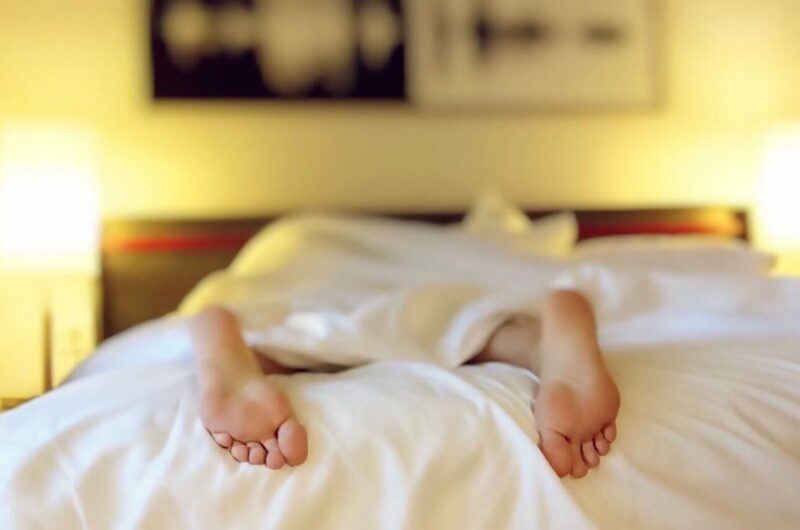 Lack of quality sleep can cause many physical and psychological problems, including increased blood pressure, hormonal changes, mood disorders, and daytime sleepiness. There are generally two different types of snorers: people who breathe through their mouth, and those who breathe through their nose. It is, therefore, important that snoring treatments directly address the cause of the snoring. For example, a back sleeping snorer may consider using a mandibular device or position training device. A more effective treatment for nasal snorers would be nasal strips, which can effectively widen the nasal passages. How Do Nasal Strips Work? Nasal strips work to keep the narrowest part of the nasal passage open to allow for better airflow, thereby preventing the vibrations that cause snoring. They are usually constructed with an adhesive bandage fortified with thin, plastic splints, which are placed across the bridge of the nose, just behind the nostrils. Nasal strips and nasal dilators are snoring aids designed to relieve mild to moderate snoring caused by nasal congestion and allergies. Their effectiveness with other types of snoring, and sleep apnea is minimal. People who snore can have sleep apnea, but not all people with sleep apnea, snore. Snoring is only one of many symptoms of sleep apnea that need to be addressed, and in some cases nasal strips can be beneficial. However, it is more likely that snoring associated with sleep apnea is more severe, in which case, an alternative device may be more effective. For those people who suffer from mild to moderate snoring, nasal strips can be effective. However, if snoring is not a symptom of your sleep apnea, nasal strips would not be an effective treatment, and you should consult a doctor about other treatment options.